Halo Reach is out and I like it. It's a pretty sweet game. I don't think it's the be-all end-all of first person shooters like a lot of reviews have made it out to be, but I certainly can't bash Bungie for the level of polish they put into their games. Overall, Reach is Halo refined, with a few new features thrown in for good measure. It doesn't revolutionize the Halo series but I can say for sure that if you liked any of the previous entries in the Halo series you will like Halo Reach. The first thing I noticed when I started the campaign is that I got to play as my own Spartan. Since the main character doesn't have to be Master Chief the player is free to create their very own Noble 6. The armory options lead to a lot of personal touches on your Spartan. I felt that I was more connected to my character as I played through the game simply because he was mine and not some pre-determined entity. Many of the cutscenes play out through the eyes of your character as well. This is just another aspect that actually makes you feel connected to your Spartan instead of feeling like an outside audience. The armory unlocks that let you customize your Spartan and armory points carry across all game types too. This is an understated feature but would have been sorely missed if it wasn't present. I would have been pissed if I had to start from scratch when I booted up the multiplayer component of the game, but Bungie planned well and let all the modes play well with one another. Even playing in Forge mode adds points towards unlocks. 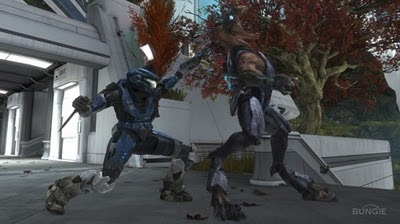 My favorite improvements in Reach are the changes in the enemies. AI is vastly improved which is really fun if you're looking for a challenge in Heroic or Legendary mode. There are more enemy types than in previous Halo games and each enemy type has multiple skins and colorings that help add to the variety. Elites feel like bad asses once again and Brutes take a back seat, especially compared to their prominence in Halo 3. Expect to feel fear when a handful of Elites charge you. There were a few interesting additions to Reach that haven't been in previous Halo games. Armor abilities, space combat and assassinations are the new features that stick out in my mind. 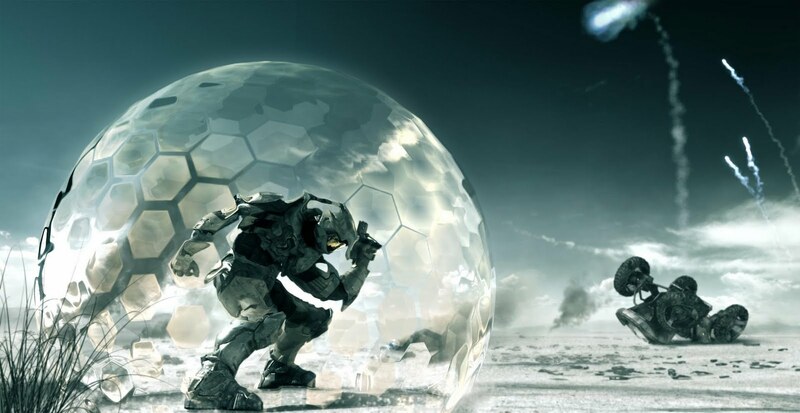 Armor abilities work like equipment did in Halo 3 except they aren't single use, instead they recharge and can be used over and over again. Space combat is more of a gimmick than a feature. There's a mission in the campaign where you get to fly a prototype space vehicle while defending a space station in orbit. It provides a nice distraction from the main campaign, but it reminded me more of Star Fox than Halo. 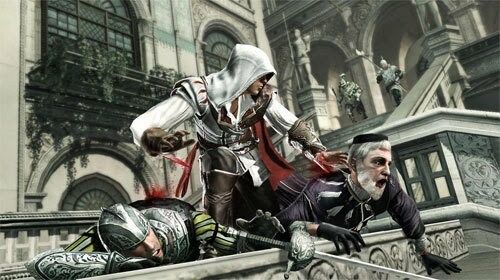 Assassinations happen when you melee an enemy from behind and hold down the melee button. They have sweet animations and are earn you some bragging rights if you can pull them off in multiplayer. 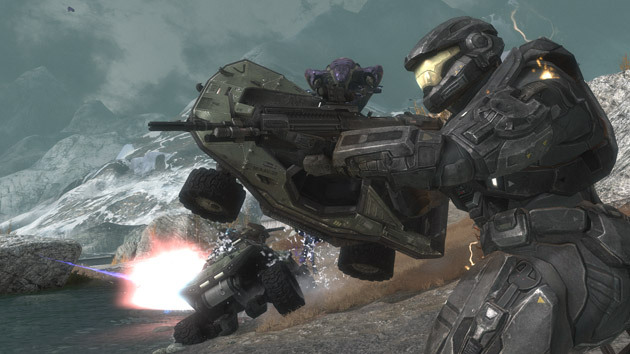 The multiplayer in Halo Reach hasn't noticeably changed from the beta so I won't spend much time on it, except to say that if you loved Halo 3 multiplayer you'll love Halo Reach multiplayer, if you hated Halo 3 multiplayer then you'll hate Reach multiplayer. Two new modes to join the matchmaking roster are Invasion and Firefight. Both are fun, but neither is a huge departure from what's been done in the past. Check out my beta impressions if you want to read more on the matchmaking. Would I recommend this game? Well, that depends. If you're a fan of the Halo franchise and have all the other games then you should go ahead and buy Reach. You'll be happy with it. 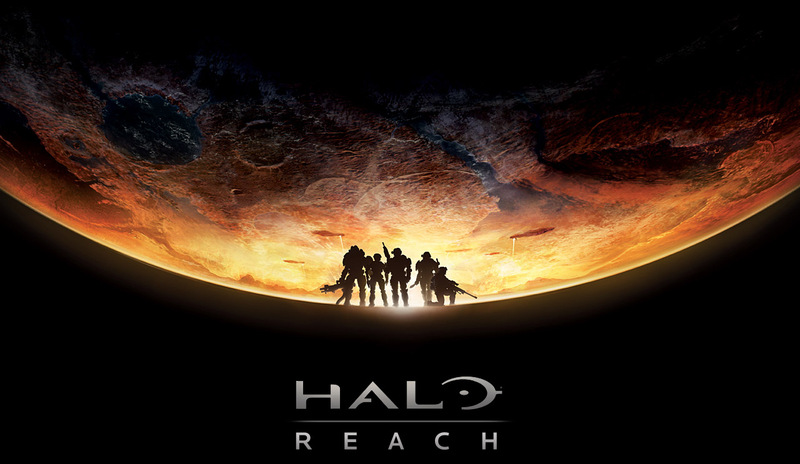 If you're burned out on Halo or never really liked it in the first place then I would highly suggest renting Reach before making a purchase. It doesn't necessarily do enough new things to warrant spending $60. But compared to the rest of the first person shooter market Halo Reach stands high above the majority of games out there. With the newborn's crazy schedule I haven't been able to play games as much lately. I was completely expecting it, and I'm fine with it. I know her sleep schedule will even out and I'll have more time to myself soon. This doesn't mean I haven't found any time to play games. A few weeks ago my game of choice was StarCraft 2 multiplayer. Multiplayer is much more difficult when taking care of a baby, because she could need attention at any time. Instead, I switched back to single player games that let me pause and save at any point. That pause button means that I can game and take care of my daughter at the same time. It's wonderful. I gave in and bought Halo Reach because I wanted a new single player game. I beat the campaign and I'm going to go back to play through it on Legendary. I also picked up Civilization V this morning and I'll dive into it this afternoon. 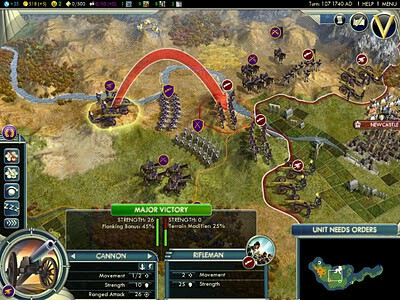 Civ V is a turn based strategy game that should let me get my strategy fix while conforming to my schedule. I've really enjoyed the past Civilization games so I have high hopes for the newest incarnation. I'm thinking of revisiting some of my favorite single player games and probably picking up a handful of fall releases too. Assassin's Creed: Brotherhood, The Force Unleashed II, and Fable III are all on my new release radar. A revisit of Mass Effect 2 or finishing up Red Dead Redemption are also possibilities. Maybe I'll finally go back and complete my game of Dragon Age Origins too. I would love some more single player game suggestions from all of you. They'll definitely be my focus until the baby gets on a consistent schedule, which could take awhile. Leave me some suggestions in the comments! The past week was Mario's 25th anniversary as well as the original Playstation's 15th anniversary. It's pretty amazing that gaming has come as far as it has. 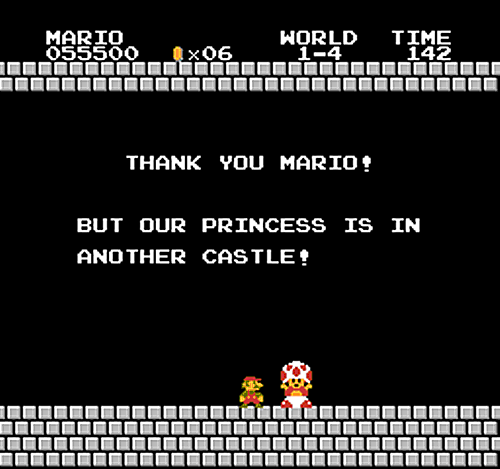 The original Super Mario Brothers is the very first game that I remember playing. I can remember when I was 4 or 5 years old and played it on the NES at daycare. I have the game, the room, and the people around me firmly entrenched in my mind forever. It's the moment I got hooked on gaming. Toad was still disappointing in those days. When my uncle gave me his NES a few years later I was as thrilled as a small child can possibly be. I couldn't believe someone would give up the magic of gaming and hand it over to me. I still owe him for that. I also remember how big of a deal the Playstation was when it came out. I didn't follow gaming news as much as I do now (I was 9) but a console that had 3D games was unheard of. It was so amazing! It ushered in a new era of gaming. The Playstation was my constant companion throughout my early teenage years and it had the first video game that made me cry, Final Fantasy VII. 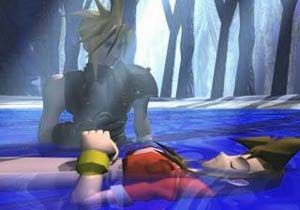 Seriously, who didn't cry when Aeris was killed in Final Fantasy VII? It's one of the moments in gaming that shows how games can be art. If a medium can elicit emotions then it should be considered an art form. Final Fantasy VII proved it in my mind. I know I'm just waxing nostalgic, but it's important to remember how very far we've come from the origins of gaming. We've lived through the birth of a new form of media. How often does that happen? I know after I write this and after you read it, we'll both get bogged down, once again, in the day-to-day affairs of the gaming world. But, for just a minute, take the time to think back on your favorite video game memories that keep you coming back to this wonderful pastime day after day, year after year. My posts have been less frequent this week because my wife and I had our baby! I'm not giving up the blog or anything, but I probably won't post as often for awhile. A brand new baby takes a lot of time to take care of, but that's ok because she's the most wonderful thing I've ever seen. I hope to get a couple more posts out this week, but our little newbie is my number one priority at the moment. For the foreseeable future I'll be playing a little game called parenthood. I love to see innovation, polish, refinement, and new gameplay experiences in gaming. But it's hard to find games that do these things well. One of the things I always take into consideration while looking at new games is the game's pedigree. Which is to say that I pay attention to the developer of the game. When I look at the developer of a new game that hasn't been released, a lot of the time I can tell if it's going to be good based on previous games the developer has made. Take my post the other day on Halo Reach. I'm debating whether I'm going to buy it, but I can guarantee that it will be a highly polished and well executed game. I know this because I've played all the other Halo games that Bungie has made and they're all examples of high quality games. Bungie has proven themselves to me. I know a lot of other developers that I can count on to make great games too. Blizzard Entertainment is the biggest one that comes to mind. I know I'll buy any Blizzard game that's released because they demand the absolute highest quality and polish from their games before they're ever released to the public. 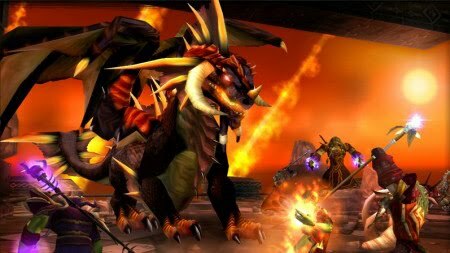 Just look at World of Warcraft or StarCraft 2 for examples of incredibly designed games. I know that Ubisoft is usually up for releasing a good 3D platformer because I've played Mirror's Edge, Assassin's Creed, and the Prince of Persia series. Epic games can make a mean shooter like Gears of War or Unreal Tournament. Nintendo will always provide some carefree entertainment with Mario Kart or a new Mario platformer. Turbine knows how to launch a free to play MMO better than anyone else. Squaresoft (now Square-Enix) makes the best Japanese RPG's on the market. I could go on and on. Once a company proves itself to me, I give their games much more attention. It doesn't even take multiple games, sometimes one game just blows me away and ingrains the developer in my mind. Batman: Arkham Asylum is one of the best games I've ever played, but before playing it I had no idea who Rocksteady Studios was. I already know I'll buy the next game in the series because they're developing it. The interesting thing is that pedigree isn't the same thing as making a good sequel. All of the developers I've mentioned above would grab my attention if they announced a brand new intellectual property because they have a good track record of making great games. 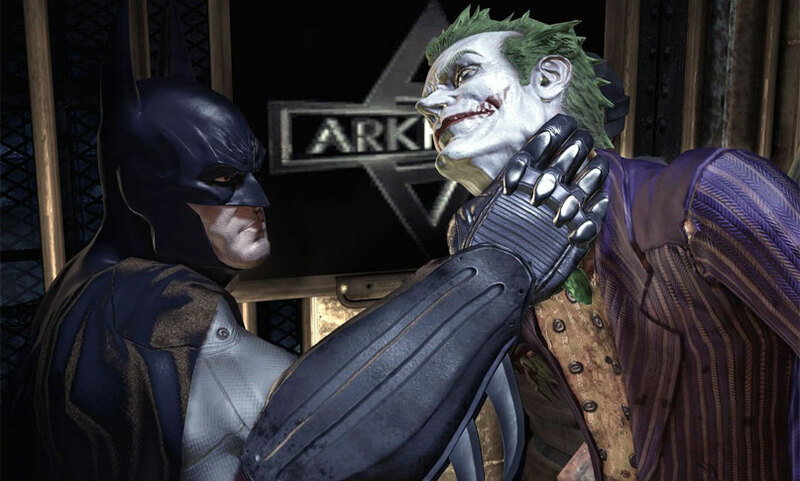 The industry loves it's sequels lately, but it's more about the developer and less about the actual game. One of the most interesting examples of pedigree at work is the Call of Duty series. The original Call of Duty was groundbreaking when it was released. This was before the days of a million generic World War II shooters. Call of Duty 2 pushed the bounds on a realistic war scenario and made the player feel like they were in the moment. But then, Call of Duty 3 was completely lackluster. It was suddenly a boring, generic, run-of-the-mill game. 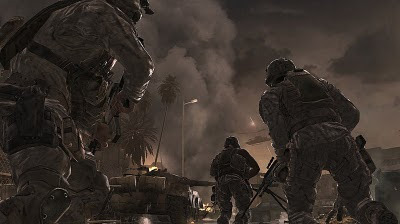 If you get past that and look at Call of Duty 4: Modern Warfare you get a game that throws you into the action and makes you feel immersed in the game world. Then Call of Duty: World at War was released and the series was once again boring. So, what's really happening here? Well, the publishing company doesn't want people to realize this, but the Call of Duty series is actually made by two different developers: Treyarch and Infinity Ward. I bet you can guess from my descriptions above that one developer innovates and one developer copies what's already been done. Infinity Ward is the original developer and they're responsible for all the good games in the series. Treyarch created all of the not-so-great entries. Taking a quick glance at the CoD wikipedia page makes the development cycle clear. Activision (the publisher) realized that people would buy a game as long as the Call of Duty name was on it, so they found a random developer (Treyarch) to make more CoD games so that they could cash in twice as often. I hated every Treyarch Call of Duty and loved every one made by Infinity Ward. That's why I bought Modern Warfare 2 with no hesitation but there's no way I'm going to buy Call of Duty: Black Ops because it's made by the bad developer. The story is even more interesting because a ton of the talent that made up Infinity Ward just left the developer because Activision pissed them off. They've gone on to create a new developer called Respawn Entertainment and now Infinity Ward is a skeleton of it's former glory. Because of that I'm done buying Call of Duty games now, but I know that as soon as Respawn Entertainment announces a game I'll be all over it. If you haven't realized by now, I think a game's pedigree is extremely important. Support the developers that are giving us new gameplay experiences. Do a little research and figure out who's responsible for making your favorite games. In the long run it'll help you make better decisions when you buy games. Halo Reach is being unleashed on the gaming community in the near future. Somehow it's kind of fallen off my radar, but the release date is coming up so it's time to figure out if I plan on buying it. You see, I own all the Halo games and have gotten most of them on release day, but this year I have a baby on the way and money is a little more tight, so I really need to consider a new game before I go drop $60 on it. 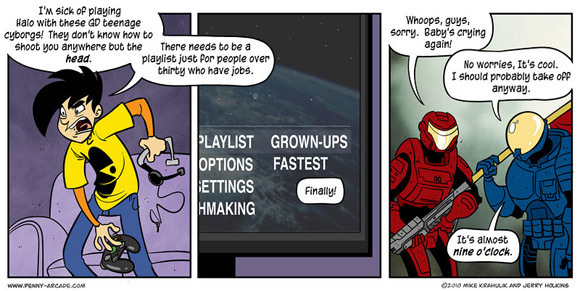 My main concern is that Halo has already been done to death. Since Halo: Combat Evolved (the first game in the series) Halo hasn't changed all that much. They designed the Golden Triangle of melee, guns, and grenades in a first person shooter and each iteration of the series from that point on has only introduced minor tweaks or graphics upgrades. Besides breaking multiplayer balance in Halo 2 the games are all very similar. 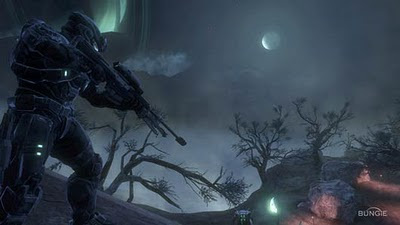 For the most part Halo Reach looks like more of the same. The improvements this time around are more units in the environment at the same time and the addition of special powers built into the armor of the main characters. I really like the idea of huge battles with hundreds of units on screen at the same time, if it's implemented well it might make the game worthy of a purchase. Besides that, most of the other tweaks to gameplay aren't earth shattering or utterly game changing. As the release date draws near I'm going to dive into more Halo Reach impressions, reviews, and hands-on testing to see if I think it's worth buying. But, if the Halo formula is the same thing it always is, this might be the first Halo game I don't buy on day one. 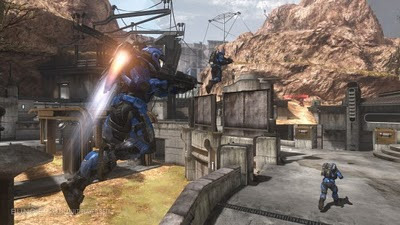 For more Halo content look back at my Halo Reach beta impressions or my brother's post on how the battle rifle completely broke the fun in the Halo series' multiplayer.